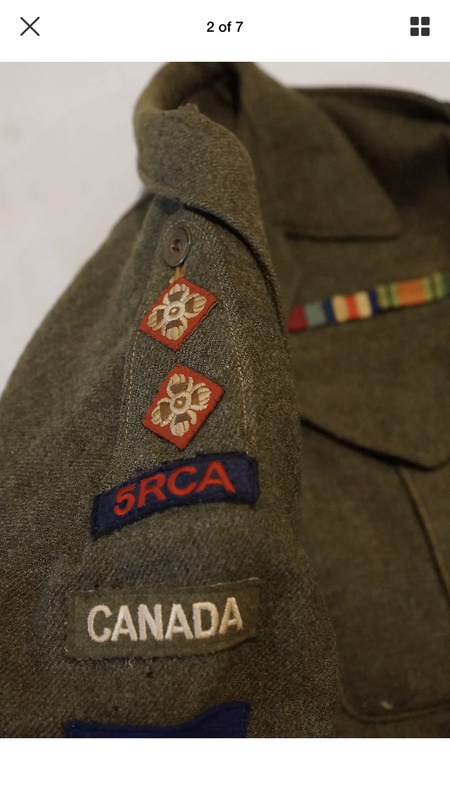 I’m new into Canadian militaria. 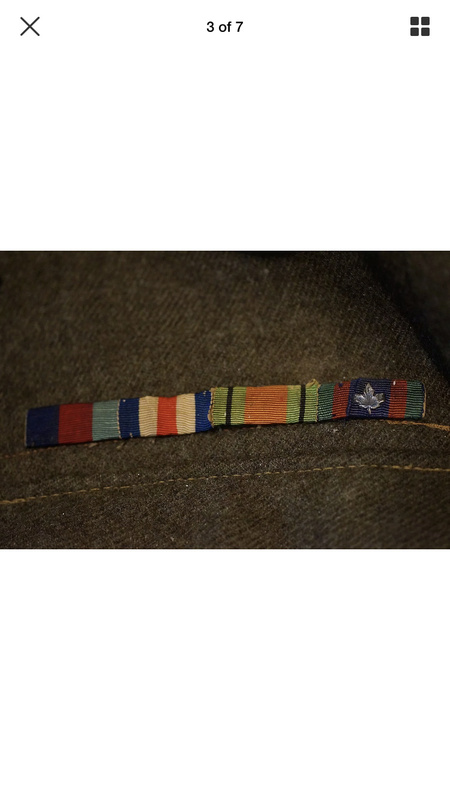 I’m planning to create a Canadian WWII Mannequin display of a Division which fought in the North of The Netherlands. 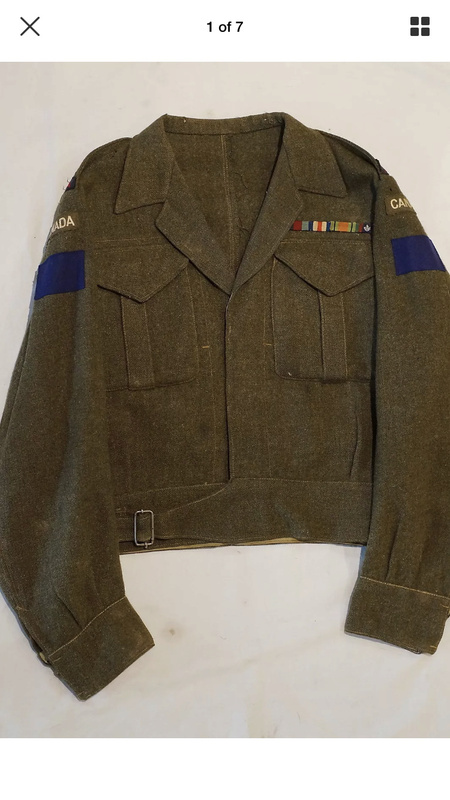 Is this Battle Dress of the 2nd Division, 5th RCA an original WWII period Battle Dress? I would say yes unless the maker's label on the inside says otherwise. The only comments are that the collar has been tailored to take a shirt and tie and there are no service chevrons on the right cuff. Maybe they were there and removed?